Registration for the 2019 Drop Zone event in Toronto is now open! What: Drop Zone Toronto is a dizzying, knee-shaking, pulse pounding rappel down the outside of a high rise building, while astonished onlookers gaze up into the sky in amazement. Who: Anyone over the age of 18 who is willing to step outside their comfort zone and face their fears! How: By raising a minimum of $1,000, participants earn the opportunity of a lifetime to participate in this truly unique and exhilarating event. There is a $50 registration fee which will be added to your fundraising minimum. A tax receipt will be provided following the event. Returning rappellers: receive a special fundraising minimum of $750 for 2019! First time rappellers: early bird fundraising minimum of $850 when you register by July 31, 2019. Minimum fundraising of $1000 applies for first time rappellers if registered August 1, 2019 or after. Why: To raise funds to help children and youth with physical disabilities get essential mobility and accessibility equipment and have the opportunity to attend fully accessible summer camp. Easter Seals Ontario provides programs and services to children and youth with physical disabilities across Ontario to help them achieve greater independence, accessibility and integration. We own and operate two fully accessible summer camps and offer children and youth 10-day summer camp experiences. Our camping programs give kids the opportunity to stay away from home and experience a wide range of fully accessible activities, such as a high ropes course, indoor climbing wall, sailing, kayaking, white-water rafting and so much more. It costs $250 a day to send a kid to camp. The money that is raised through our events supports our send a kid to camp initiative. The rappel is facilitated by Tacten, a company whose staff are all highly-trained, fully certified and extremely experienced. Every possible measure is taken to ensure the safety of our rappellers as they challenge themselves and change the lives of children and youth with physical disabilities. One lucky participant from among the Drop Zone event cities will win the national grand prize: a travel prize package donated by Breakaway Experiences. Receive one (1) entry for every $500 you raise. The more you fundraise, the better your odds of winning. To win, participant must have raised the minimum to rappel in their event city. $1000 Breakaway Experiences Gift Certificate (valid until August 31, 2020). One (1) hotel room for two (2) nights in the flight destination city, two (2) persons per room. This prize is valid for travel until August 31, 2020. Check out www.breakawayexperiences.com for all the unique and memorable bucket list experiences in your city! Taste of Nature Foods Inc. 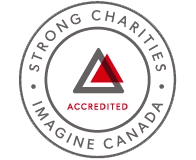 Copyright © 2018 Easter Seals Canada. Hosted by IWD Canada, Proud Supporters of Easter Seals Canada.